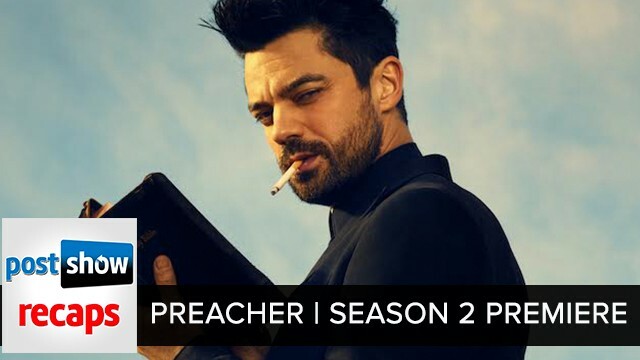 Podcast Recap of the Preacher Season 2 Premiere from Sunday, June 25th, 2017. Josh Wigler (@roundhoward) and Antonio Mazzaro (@acmazzaro) are here to help you FIND PEACE after the two-night Preacher Season 2 premiere. In this podcast, Josh and Antonio talk the basics of the series before doing a deeper dive on what they think works, and doesn’t work, in AMC’s adaptation. And they siphon off some energy from the two night premiere and talk about hopes for the season and series to come. Some things about this series are thrilling, some are rougher around the edges, but, that’s life!